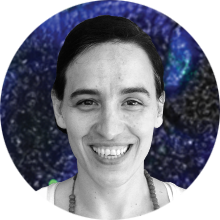 Join our live webinar with Dr. Sylvia Boj as she discusses the biology underlying organoids and how it contributes to their relevance as model systems and their use in drug discovery and precision medicine. During her postdoctoral fellowship in the lab of Dr. Hans Clevers, Dr. Boj generated and characterized a novel system for modeling pancreatic ductal adenocarcinoma using organoids grown from isolated pancreatic ducts. Now a Scientific Director at the Foundation Hubrecht Organoid Technology (HUB), Dr. Boj is involved in the characterization of organoid model systems with the goal of developing novel platforms for drug discovery. This approach has been successfully used at the HUB using patient-derived organoids to screen treatment outcomes in Cystic Fibrosis.